Home » Featured » Exceptional In Leslieville! More Canadians trust Royal Bank RBC for their mortgage solutions then any other provider. Let us help you! 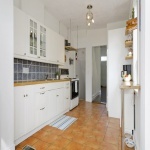 For Sale : $399,000 Address: 108 Carlaw Ave. 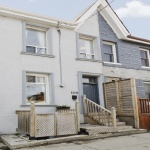 This 2.5 Storey Victorian With 10Ft Ceilings Offers 3 Bedrooms Plus Loft Space. Amazing Value For This Much House- Spread Out! Updated Kitchen. Hardwood. Original Mouldings And Details Preserved Throughout. Walk Out From Kitchen To Delightful Back Garden-Perfect For Entertaining. Separate Entry To Basement. 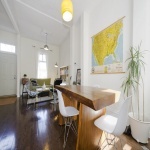 Everything At Your Fingertips-Quick Walk To The Cafes & Shops Of Queen East. Easy Access To Gardiner & Dvp. Bike Path At End Of The Street. 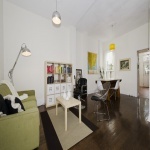 Please visit www.108carlaw.com for more photos. Schedule a viewing? Ask me a question?